Nintendo boasted at the end of September that Wii U would launch on Nov. 18 with a potent line up of new sequels like New Super Mario Bros U., anticipated multiplatform games like Assassin’s Creed III, and a stable of exclusive originals to back it up like ZombiU. There would be 23 games in total on day one, edging out the count from the 2006 Wii launch and trouncing the anemic day one line up for the Nintendo 3DS back in 2011. The company got bad news on Monday, though, as one of its marquee exclusives was pushed back into 2013. 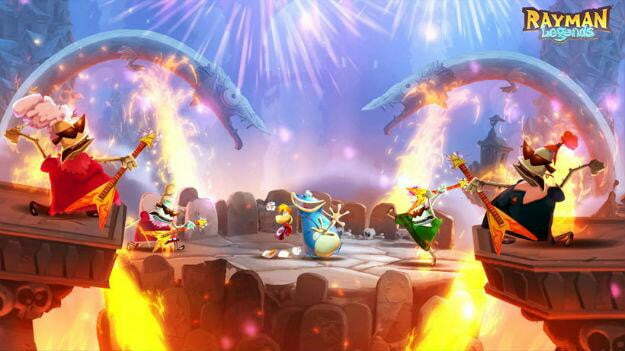 Rayman Legends from Ubisoft has been delayed into the first quarter of next year. If you go by the marketing babble of Nintendo of America, this time frame will technically keep Rayman Legends Wii U a launch title as the “launch window” extends from the console’s release until the end of the fiscal year in March. Corporate rhetoric doesn’t necessarily mean much for fans of Ubisoft’s colorful platformer series, though. The delay is likely for the best though. This is a crucial holiday for Wii U and Nintendo itself, a moment when a mobile-obsessed gaming public and shareholders alike wait to see if the company can reignite the public’s interest in its home console business. In order to make that happen, it needs bright, exclusive games just like Rayman Legends available to the public, demonstrating the tablet controller’s unique multiplayer options. At the same time, Nintendo and Ubisoft can’t risk releasing a game that isn’t ready just to push it out the door for launch. Ubisoft tried that with Wii launch shooter Red Steel in 2006, and that broken experiment soured audiences on third party Wii titles, especially in core genres. The aforementioned ZombiU, one of Ubisoft’s five remaining launch titles for Wii U, is still on track for November, though. The publisher, not to mention the platform holder, would be wise to make sure that that game has the polish time it needs as well.